So you’re seeking a job at a tech startup. You’re smart. You’re savvy. You’ve done your research. You’re prepared for the multiple rounds of interviews that lie ahead. You’ve got this, right? Well, those of us in People Operations have seen it all. What is going to give you a leg up on the competition of other smart, savvy individuals just like you? Here is a little interview advice from an insider’s perspective that can really razzle and dazzle your interview team. Of course you have done your research. You spent a few minutes the night before your interview scouring through the company website, reading a few articles, checking out a handful of blog posts. You have an arsenal of talking points prepared about how you align with the company’s purpose and core values. If the right moment comes up in the interview, you can point to a recent local news article that features one of the company’s latest achievements. Good for you. It’s all well and good. But consider this: have you really done your research? If it’s a tech company, do they offer a product, and have you purchased and sampled their products? Does the company offer a service, and have you signed up for its services? Can you come to an interview prepared to offer praise - but not too much praise - and one or two suggestions for improvement? A company wants to hire people who are passionate about its offerings, but who will also help their team improve its services. It can spark a great conversation during an interview if you can demonstrate familiarity with the products a company has to offer and point to areas for improvement that could be a real value-add for consumers. You have known from an early age that achievers excel. Your track record proves it. So make sure you outline your achievements in no uncertain terms. This tip applies to both your resume and your interview. Take it from an insider, when faced with hundreds of resumes to review for one job opening, a recruiter will spend all of fifteen seconds looking at each resume submitted. Colorful, well-laid-out resumes will not make you stand out amongst the rest because it’s meaningless, unless you are applying for a graphic designer role. Recruiters are looking for the meaty content, which, put plainly, is an outline of accomplishments. If your work resulted in a 10% increase to revenue, say it. If you successfully reduced turnover in your team by 25%, describe how you were able to do so. 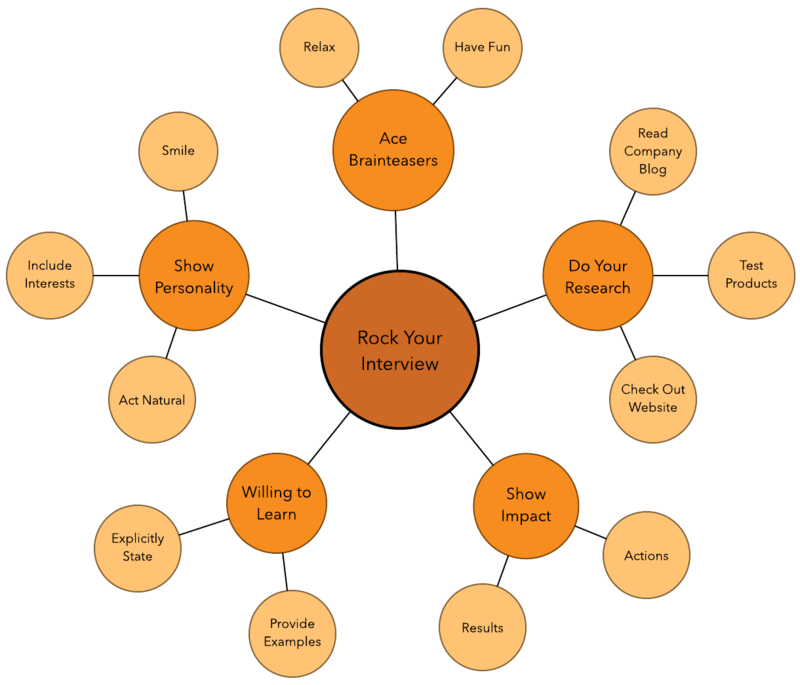 Actions and results are what recruiters and/or interviewers are seeking to understand from your resume and interviews. We’ve already established that you’re smart, you’re capable, and you’re experienced. When you look at the job description for the role for which you are applying, it describes you to a T. You were made for this job, and you have stated your case in those exact terms to your interviewers. Great! You’ve been there, done that. It’s comforting for your interviewers to know that if you were hired, you could essentially hit the ground running and make an immediate impact.But nobody is perfect. And no one knows everything. And inevitably you will face circumstances that you have never encountered before. What then? What happens when you can no longer pull from your old bag of tricks? 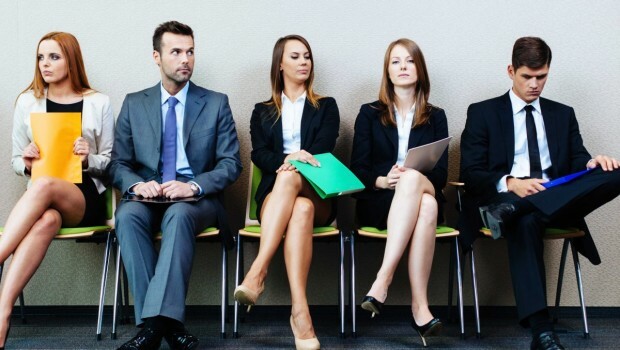 Your interviewers are waiting to hear from you that you are willing to learn. So tell them so. Explicitly. But also with examples from past experiences. Share accounts of situations in which you had to think quickly on your feet. Describe the outcome and what you learned along the way and how you will use those learnings when facing similar circumstances in the future. Portray your humility to whatever extent you may have it. People want to know they won’t be working with a know-it-all. Some interviews consist of a few out-of the-box questions. We often ask our candidates to teach us something. Or we ask them how to in the least amount of time get four swimmers across a river accompanied one-way by a partner. You already know that these questions are designed to assess how you think on your feet, how you handle pressure, etc. Most importantly, though, you are being evaluated for your critical thinking skills and your ability to communicate clearly and concisely. With that understanding, take a deep breath, smile, and have fun with it. We have already established that color and layout in a resume should be reserved for graphic designers. Those factors do not demonstrate personality anyway. In the mere seconds of scanning resumes, a recruiter not only assesses for skills and experience, but culture fit as well. Do you match the values and standards of the company? Will you be able to meld into the team and add to it in a valuable way? Simple ways to show some personality in a resume are to add your interests at the bottom of the page. One of my favorite ways I’ve seen skills presented on a resume was with a list labeled, “Count Me In For...” A creative touch that adds a little personality to the resume and demonstrates a go-getter attitude. A tip for showing personality in the interview is to smile. Offer up a few sneak peeks of who you are and what you like to do outside of your job. Find ways of weaving your unique self into the conversation. Preparation is everything. When you know how to land your dream job by understanding what those on the other side of the equation are seeking to learn from you, you can be better equipped to give them the information they need to know about you and your experience. Competition is stiff, especially for jobs in the best workplaces, so rise above the competition by knowing the company’s products/services and offering opinions, by describing past successes and learnings, by having fun with the brain teasers, and by coming as you are and showing the real you. Good luck out there! You’ve got this!